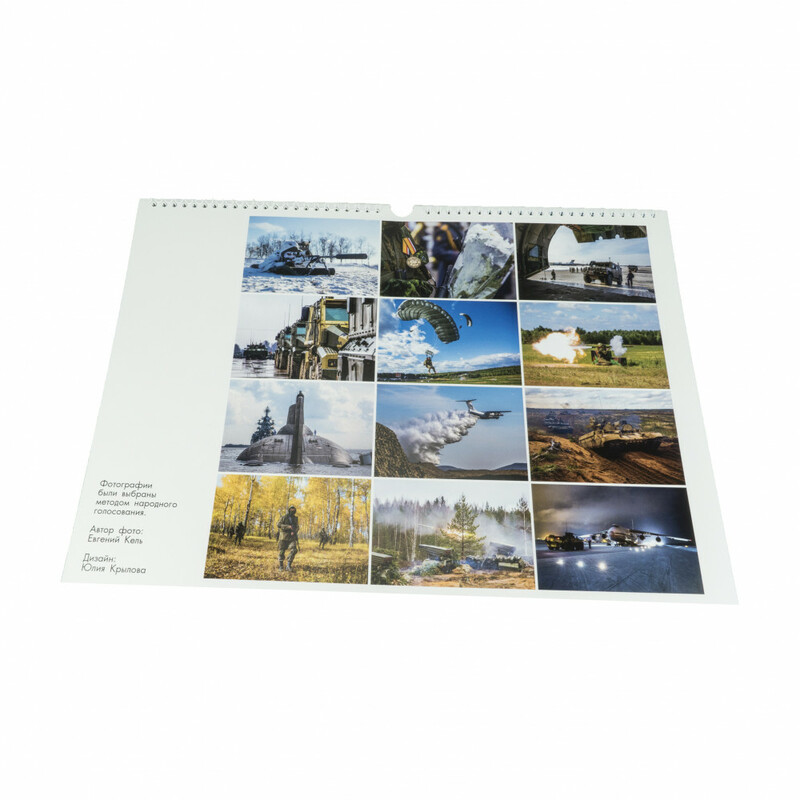 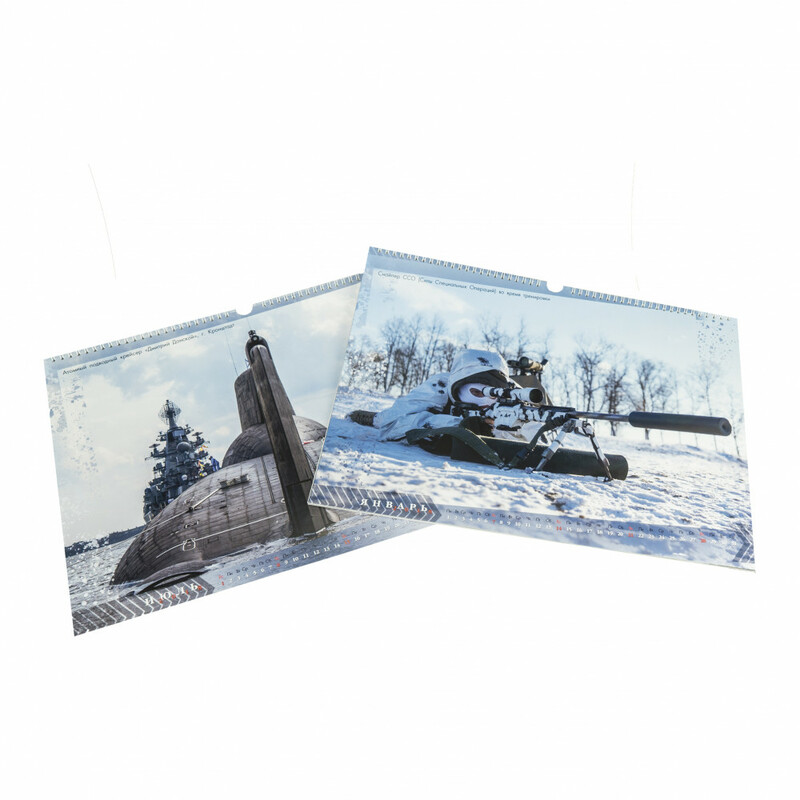 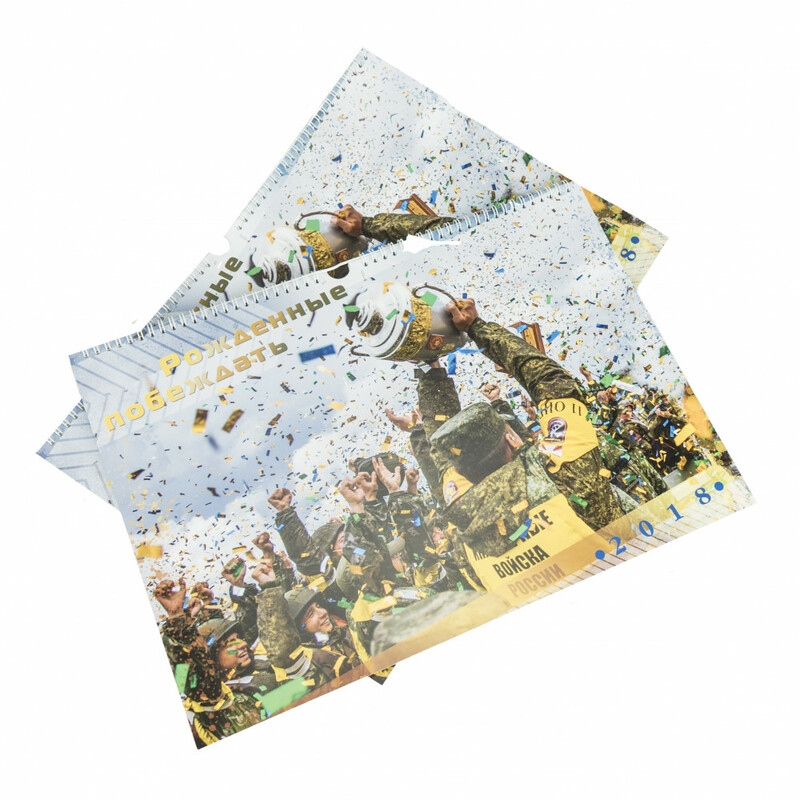 Limited edition calendar from the famous Russian war photographer Evgeniy Kel @vectorkel, exclusive in Grey Shop! 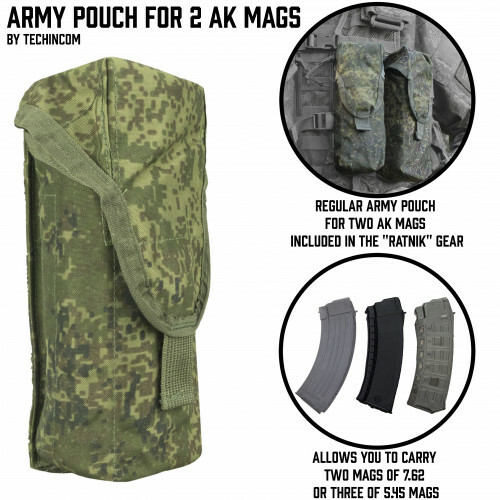 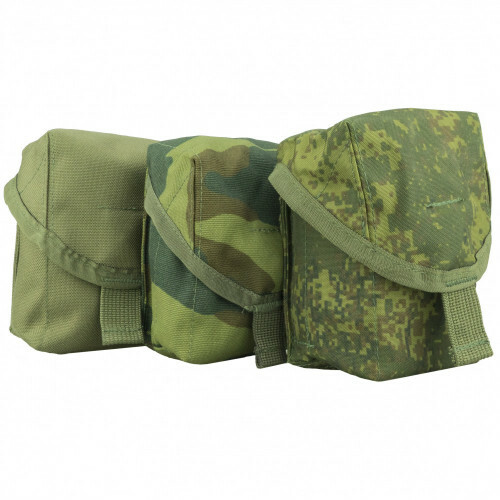 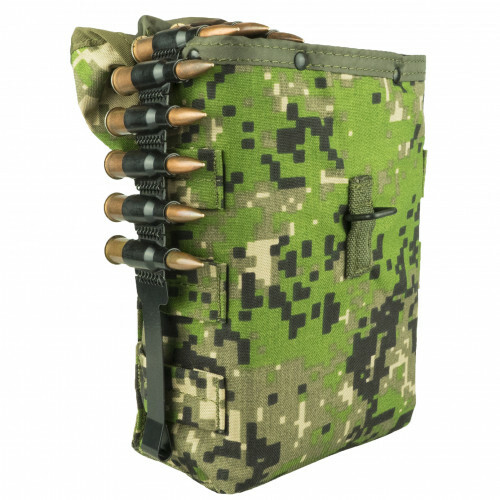 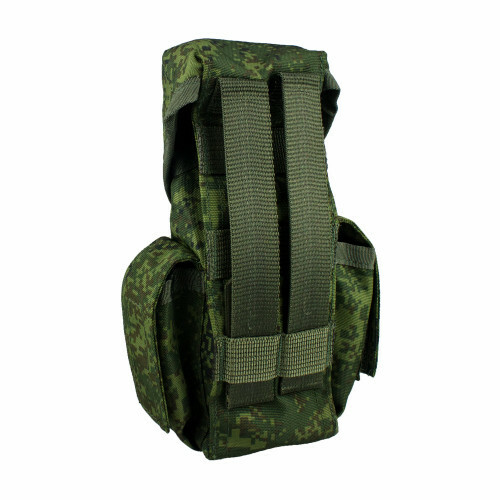 This pouches created by Techincom for Russian Army, as simple and cheap pouch for AK/AKM 30 round ma.. 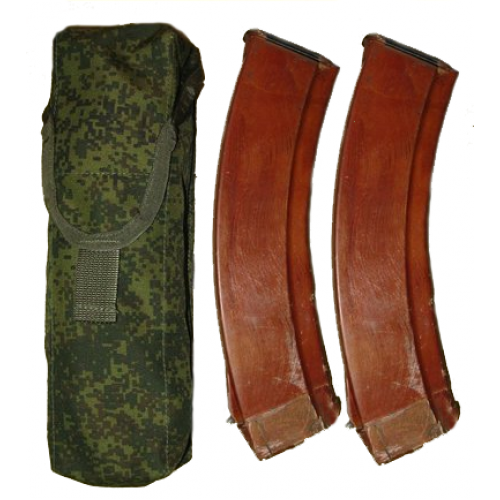 It serves to accommodate two mags RPK. 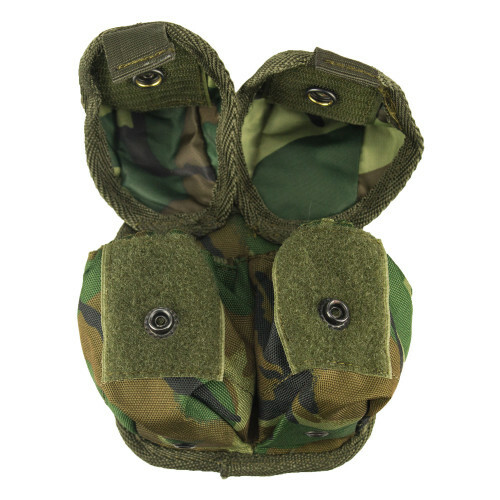 - To avoid dirt, sand, etc. 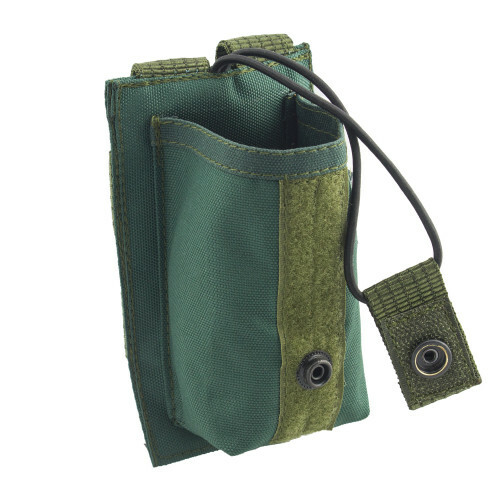 pouch has a volume valve.- V.. 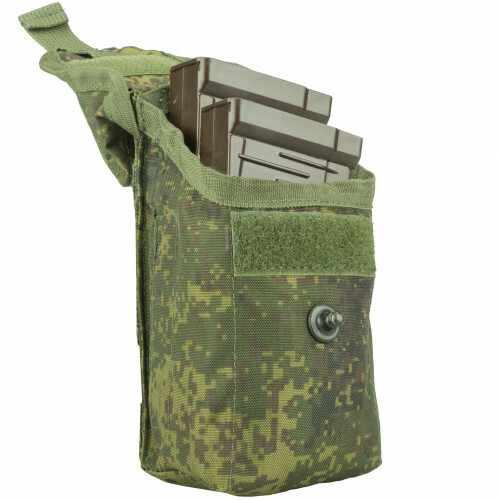 It serves to accommodate two mags RPK and ROP. 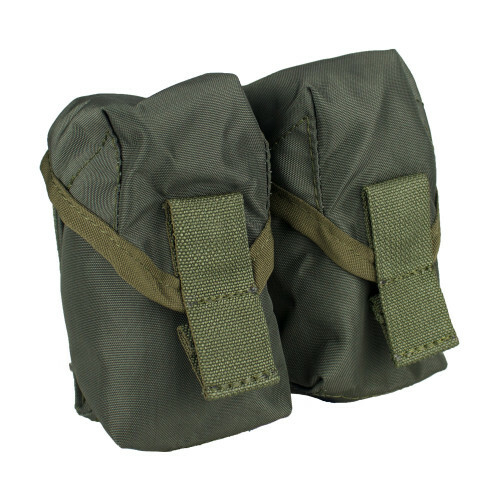 - To avoid dirt, sand, etc. 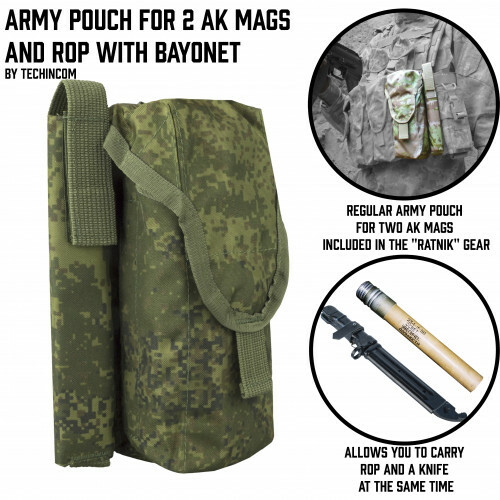 pouch has a volume v.. 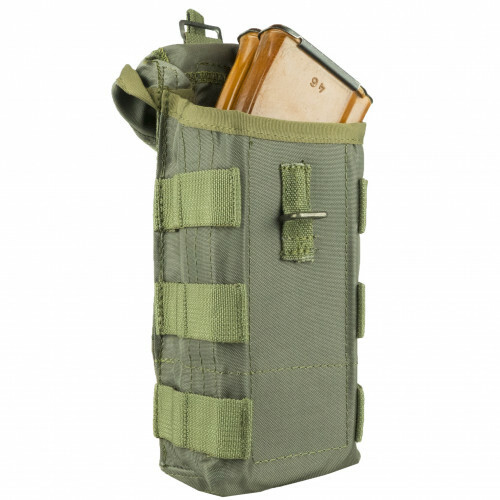 It serves to accommodate F1 or equival of it. 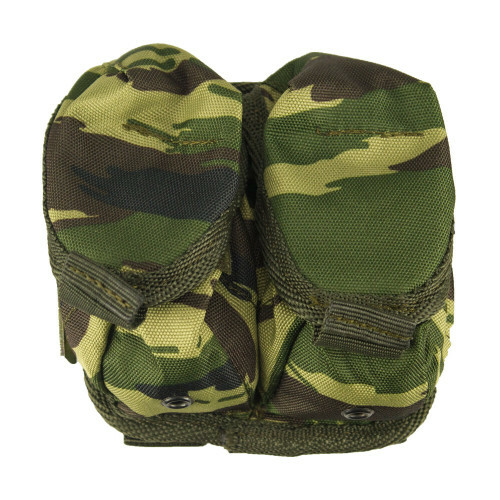 - To avoid dirt, sand, etc. 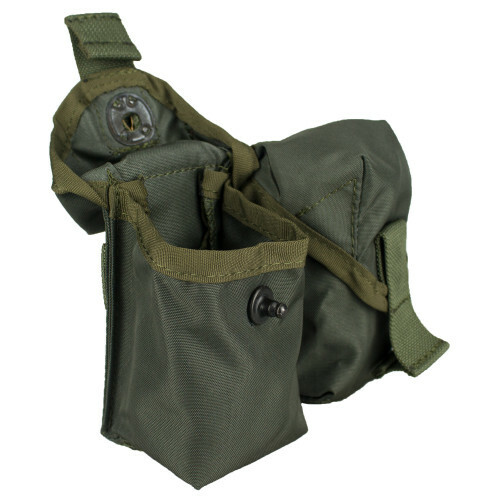 pouch has a volume va.. 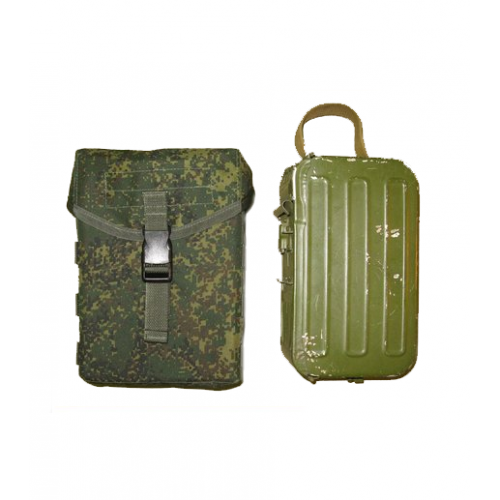 It serves to accommodate two mags SVD (Tigr).- To avoid dirt, sand, etc. 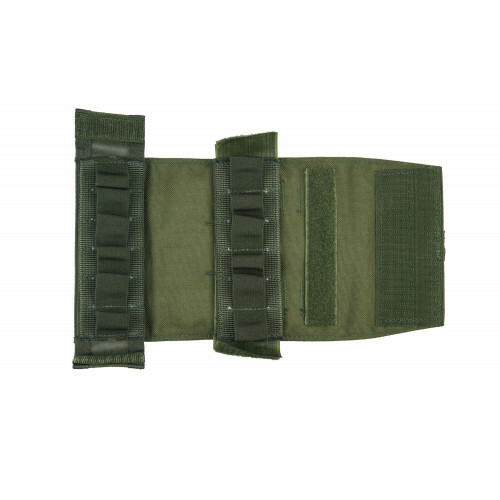 pouch has a volume valve.- ..
Used to place five shots VOG-25 (25P)- Every shot is placed in a separate cell, closed by a valve ma..
Used for stacking up to 250 rounds in strips or one box of ammunition for 100 PKM machine guns.- To ..
Used for civil radio. 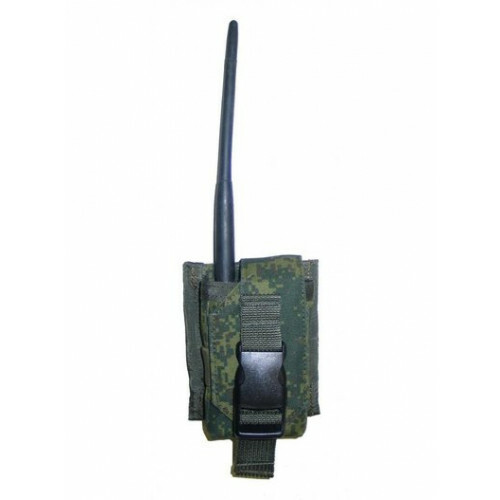 Suitable for Motorolla, Kenwood and etc.- To avoid dirt, sand, etc. 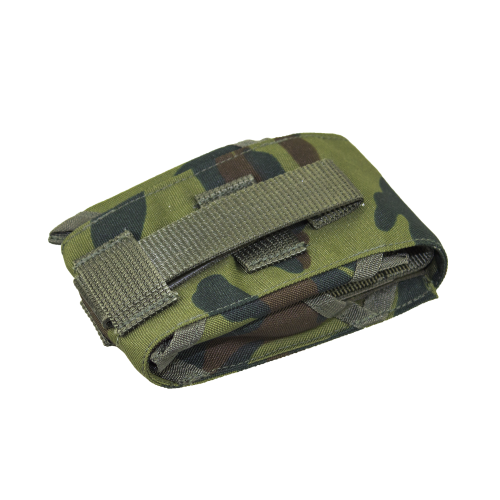 pouch has .. 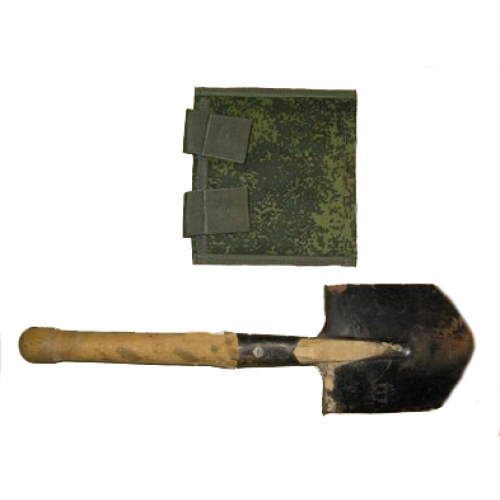 Allows for placement of small infantry shovels (folding entrenching shovel).- To avoid dirt, sand, e.. 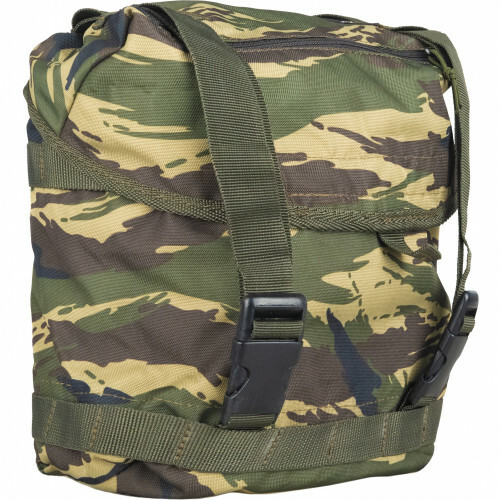 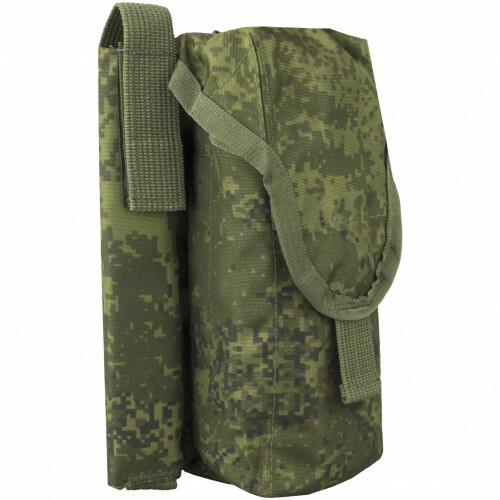 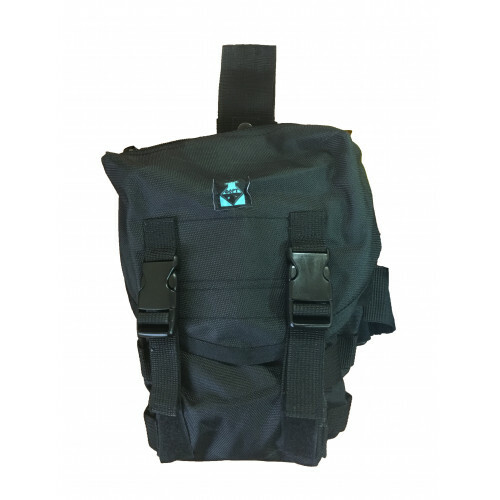 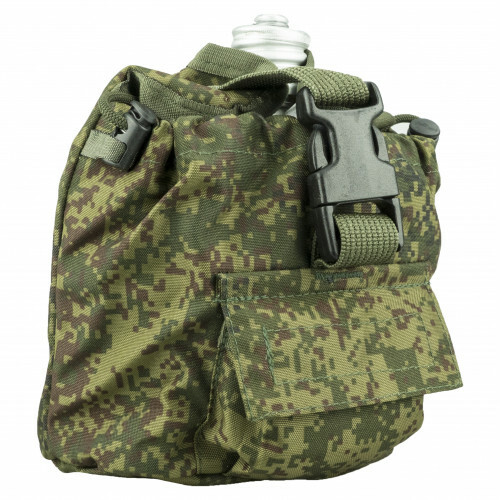 Designed to accommodate a variety of medical devices.- Closure with zipper - with two locks.- ..
Universal pouch for canteens, has MOLLE interface from the rear side and special pocket for matches ..
Backpack has a main compartment and two side pockets, fitted with tubes. 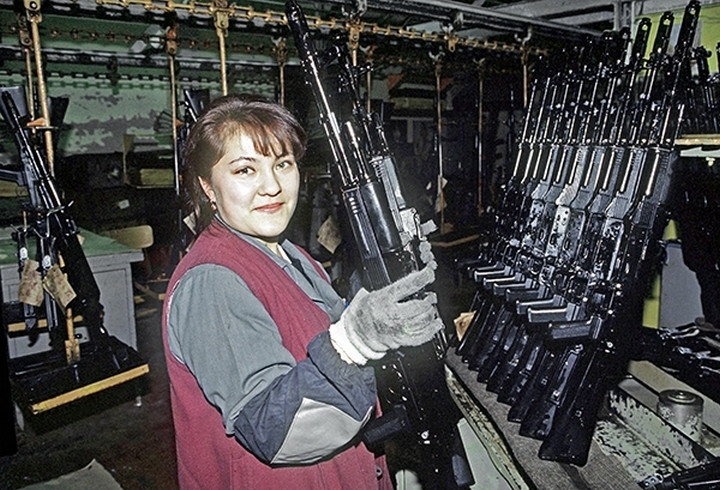 Inside the main compartment.. 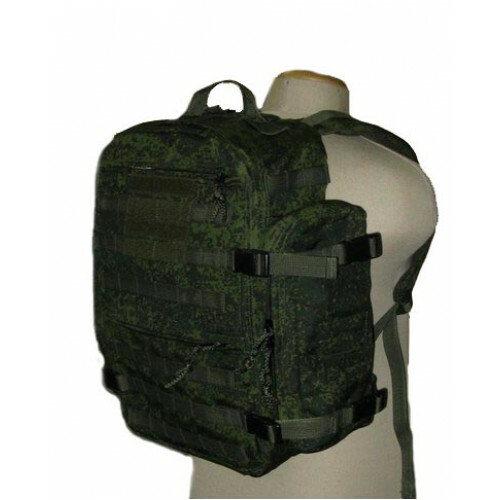 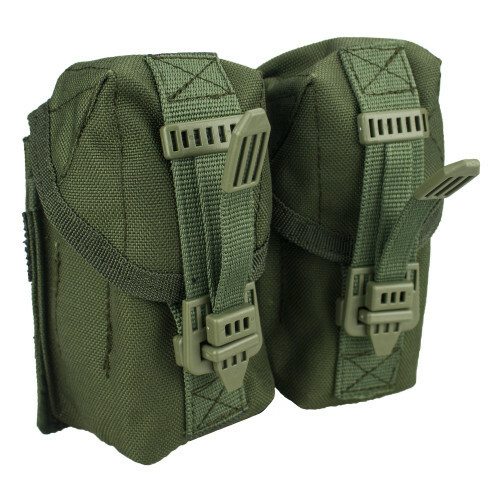 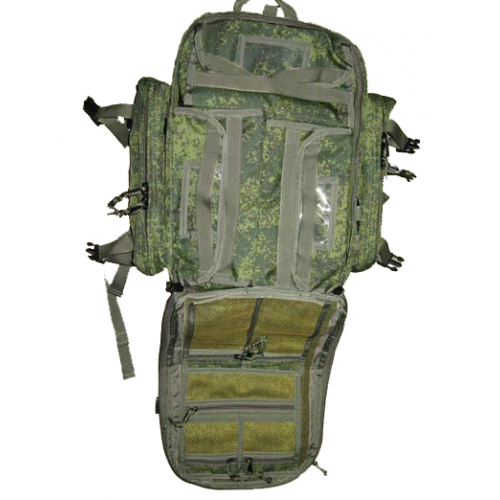 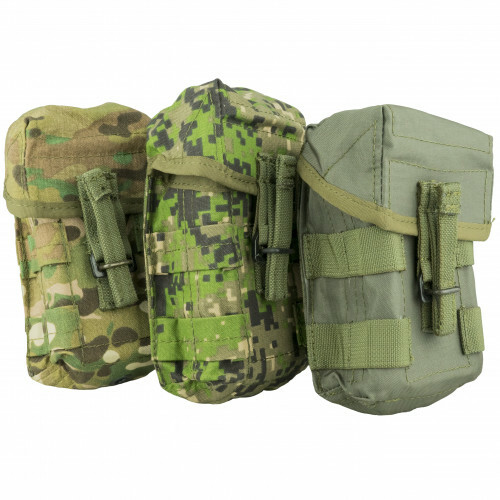 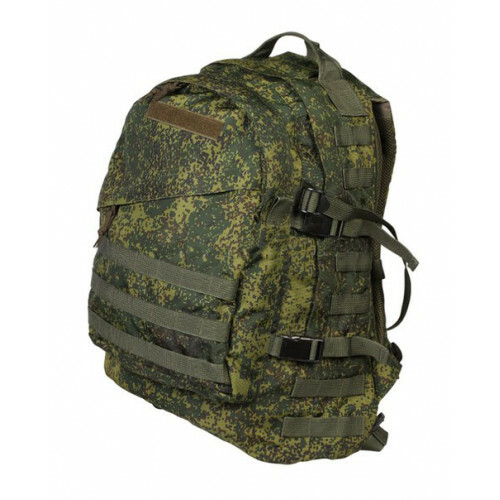 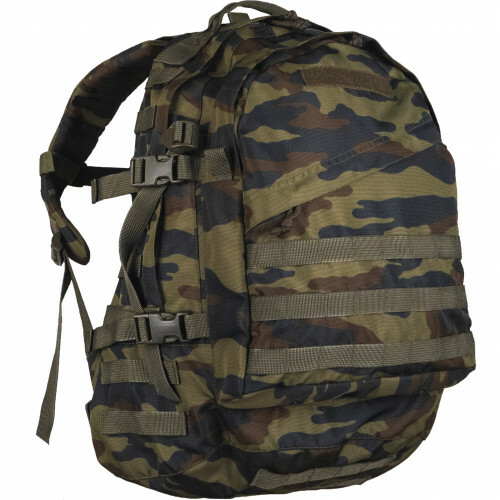 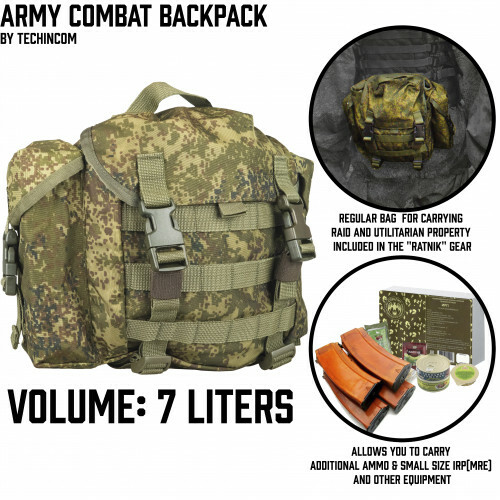 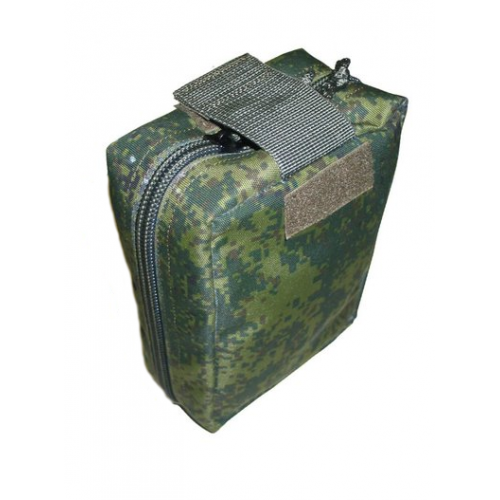 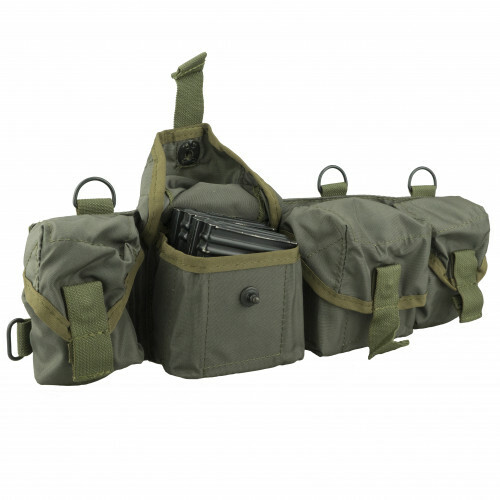 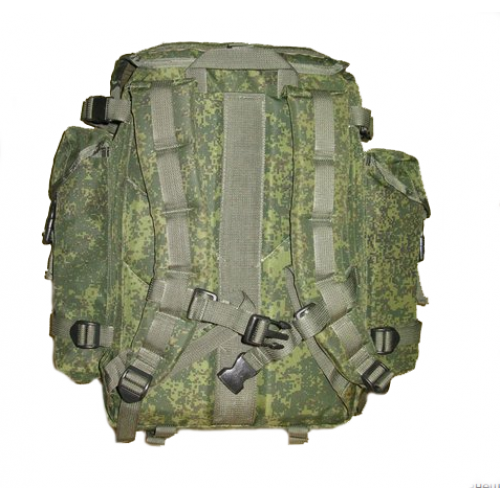 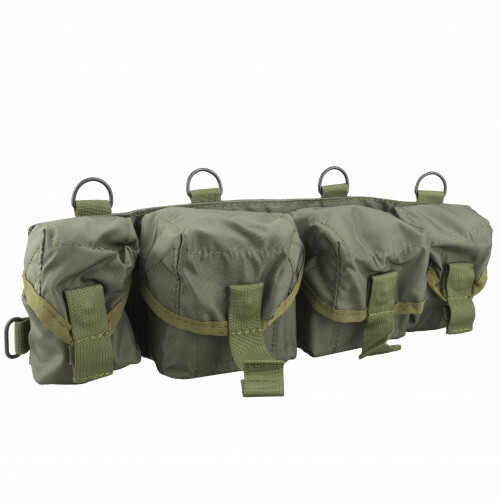 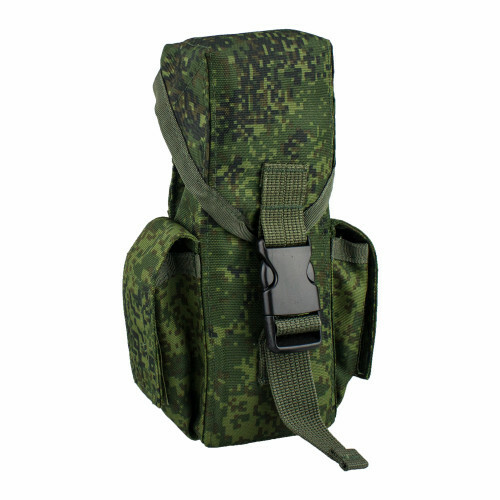 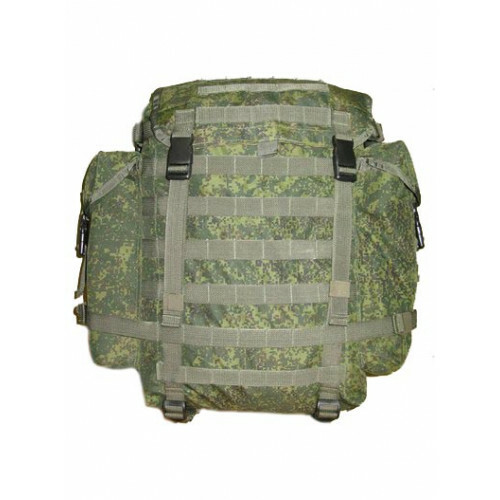 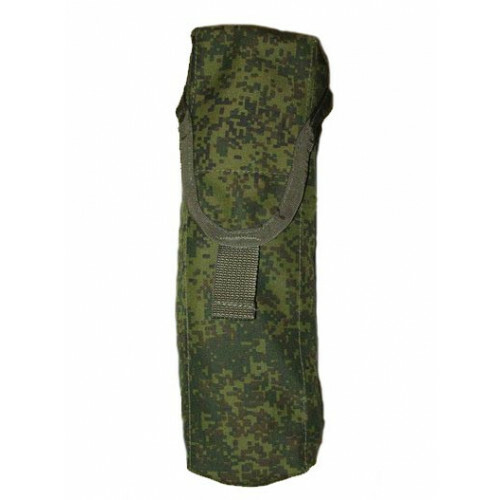 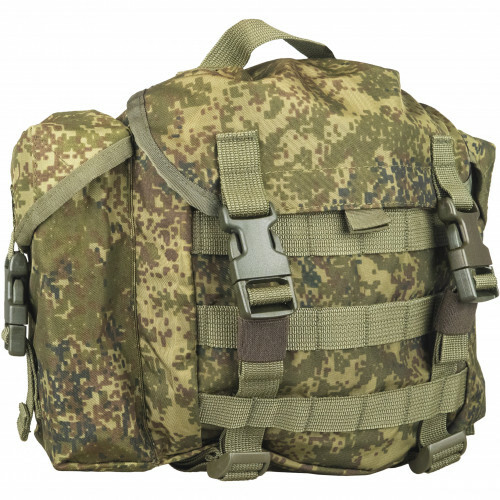 The main compartment backpack with three containers, packing for medical devices.• On the inside of ..
Is a multifunctional element of equipment designed to transport various items of combat and marching..
Pouch for Smersh. 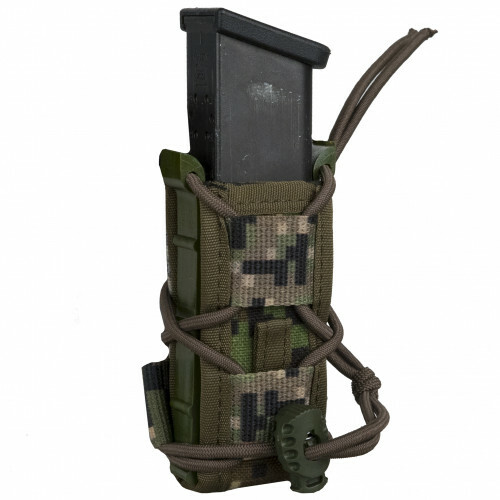 It can fit 4 svd and 2 hand granade. 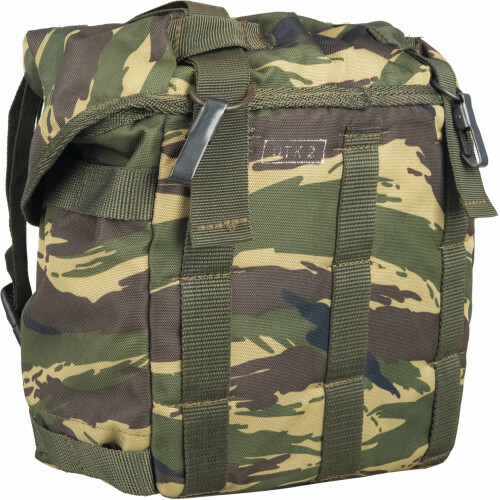 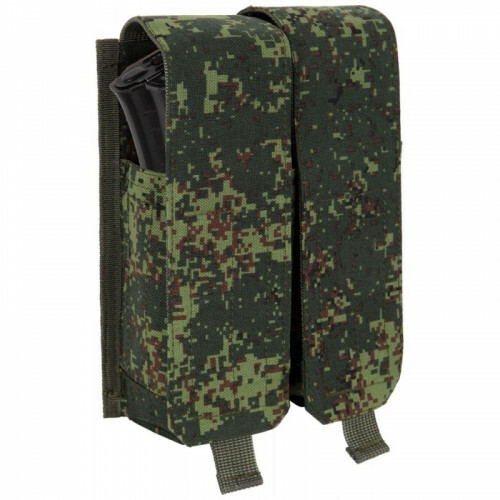 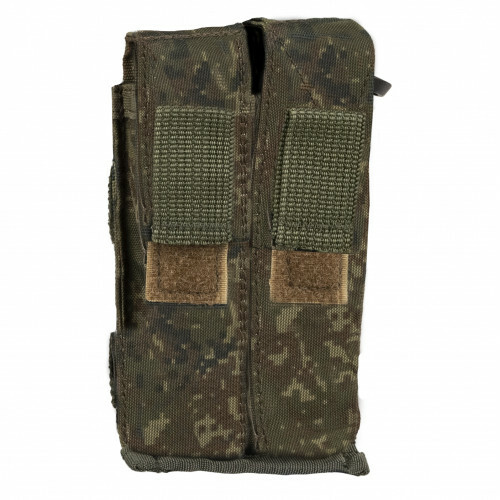 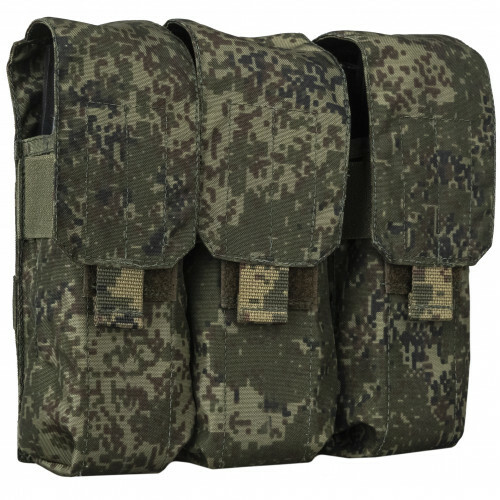 Can be attached to belt, or to smersh.NOT MOL..
Pouch for 4 mags AK-74M AK-103, AKM mount (PALS-MOLLE)Weight: 120 gr.Materials: Cordura 1000D..
On the back side there is to sling for attaching to the system MOLLE. 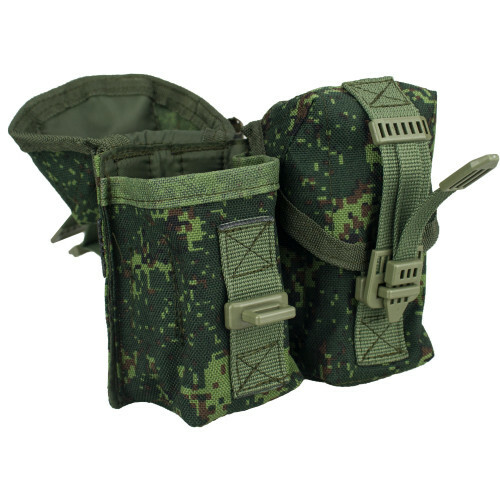 Can be also placed on leg.Avai..
Pouch for Gas mask, that can be placed on leg. 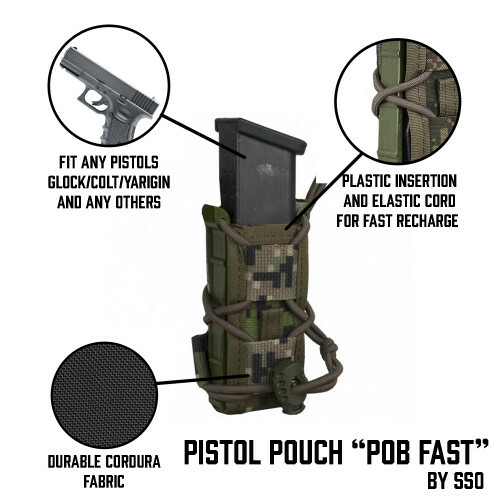 Also can be used as dump pouch. 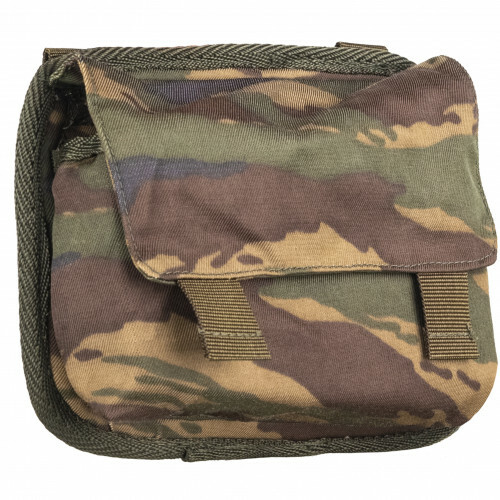 Replica, made fr.. 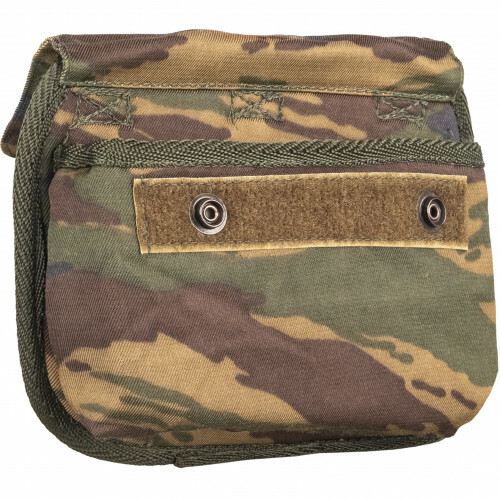 This is rare pouch for 5 VOG. 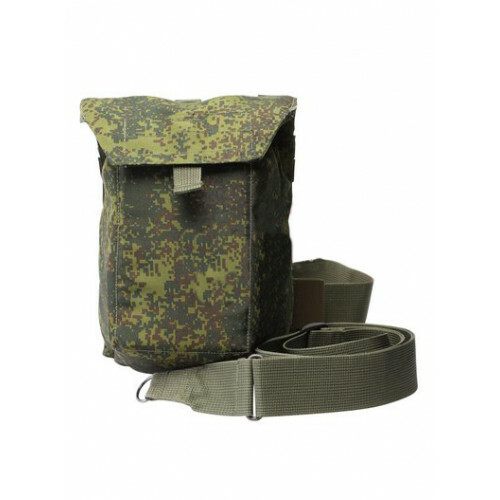 Made in middle of 2000-x years from taurpalin fabric. 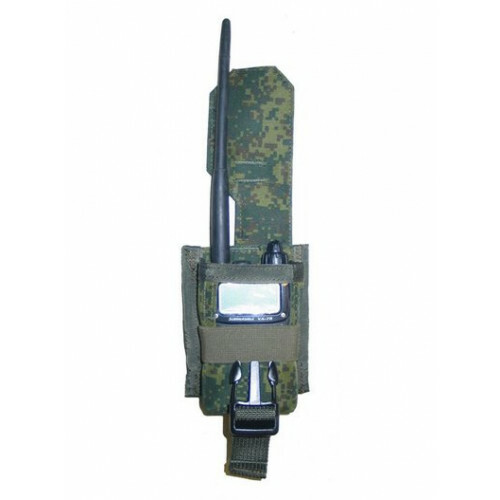 Left from MVD go.. 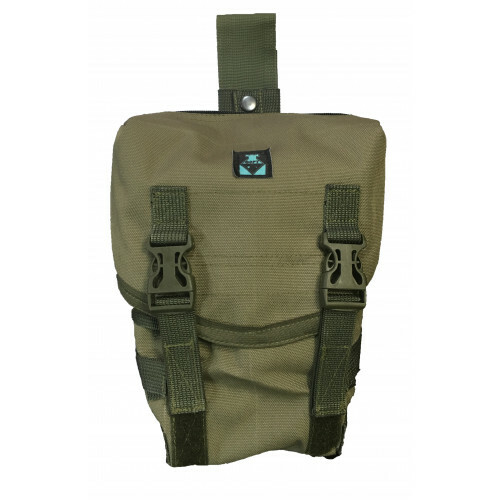 This is rare pouch for 5 VOG. 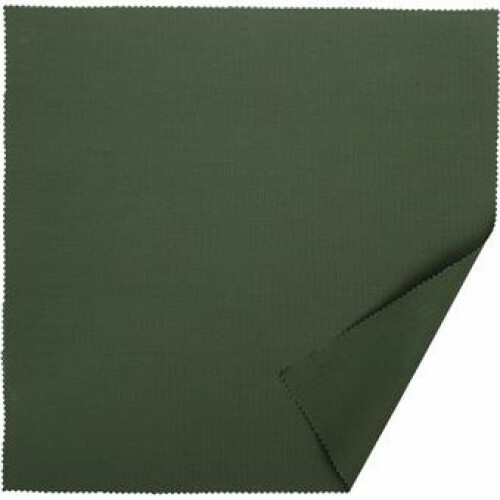 Made in middle of 2000-x years from Green Kamish fabric. 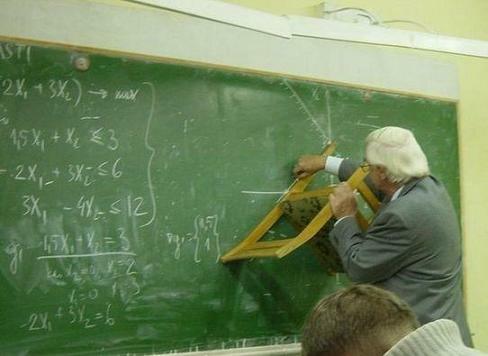 Left from MVD.. 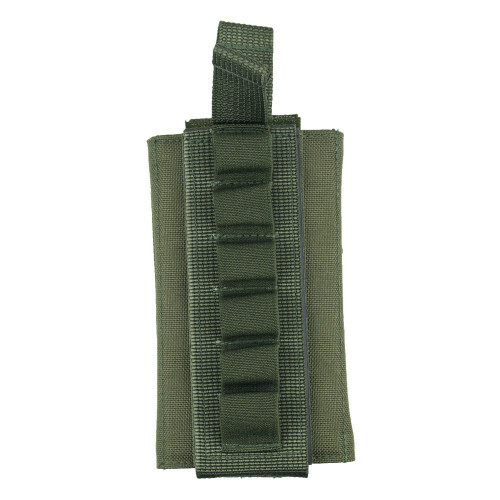 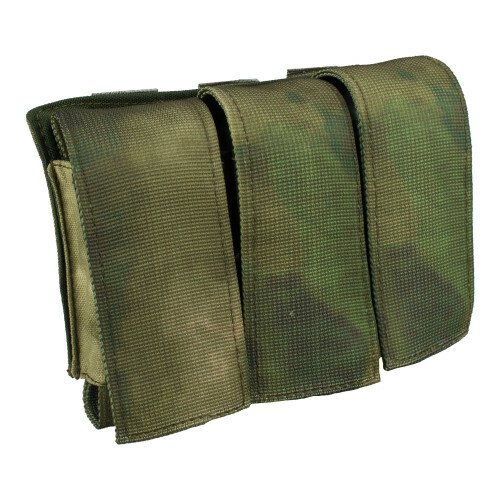 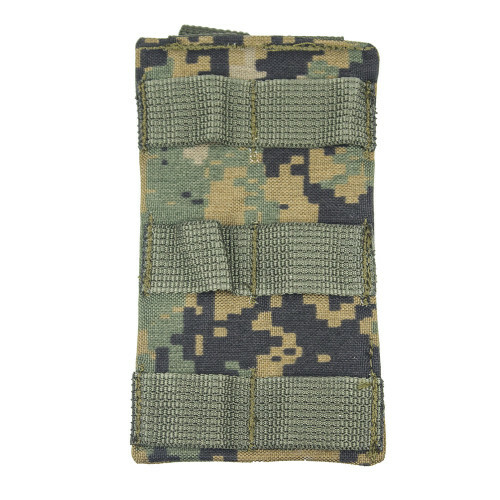 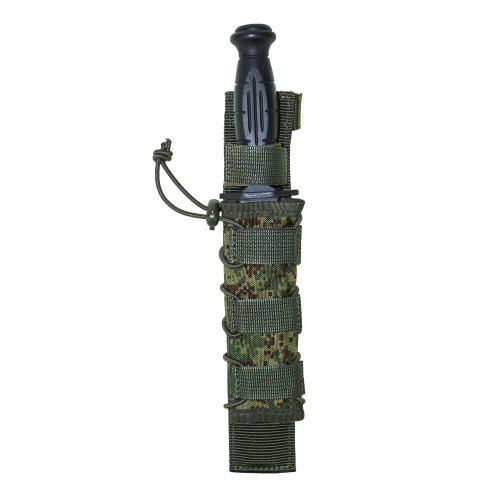 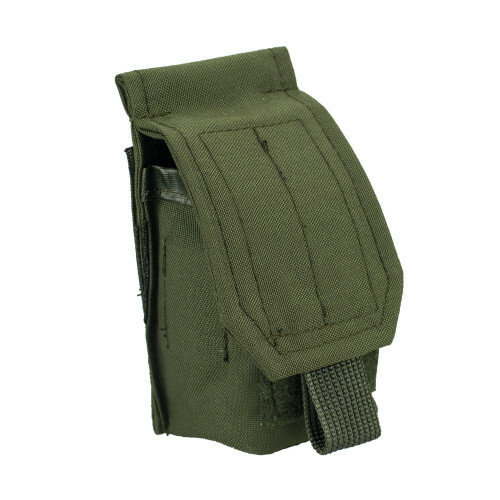 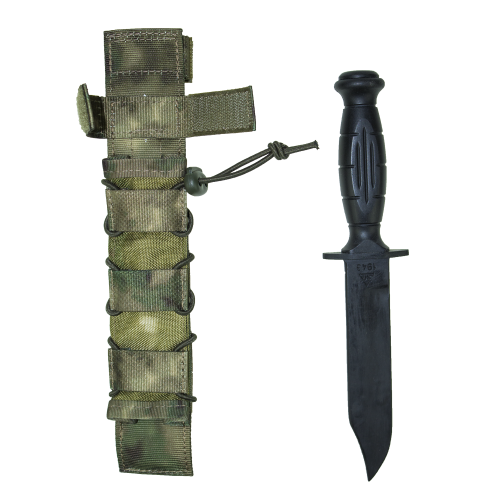 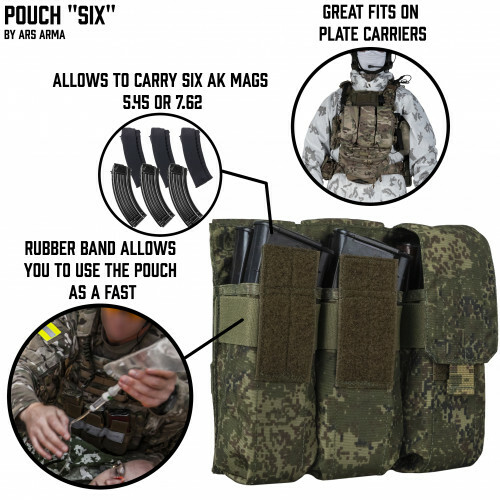 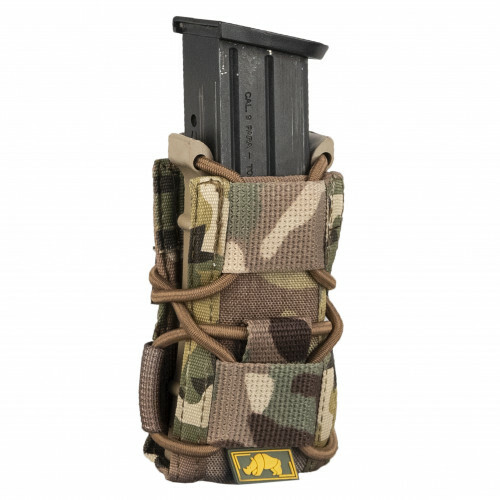 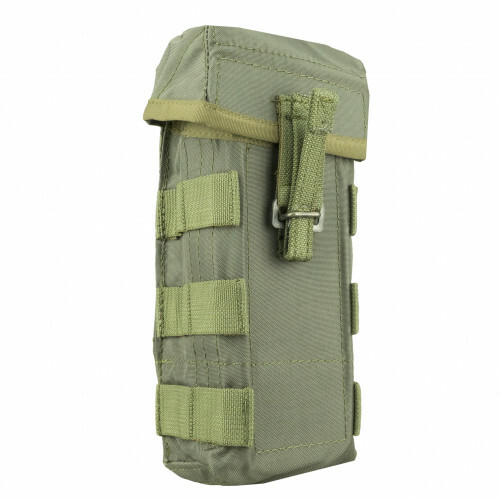 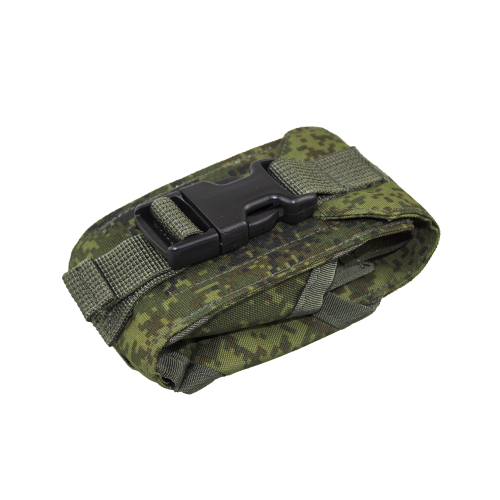 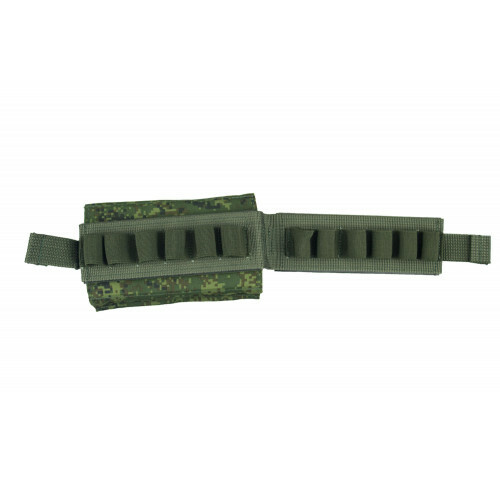 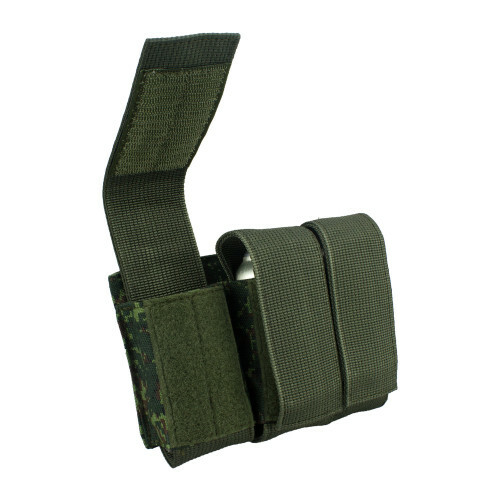 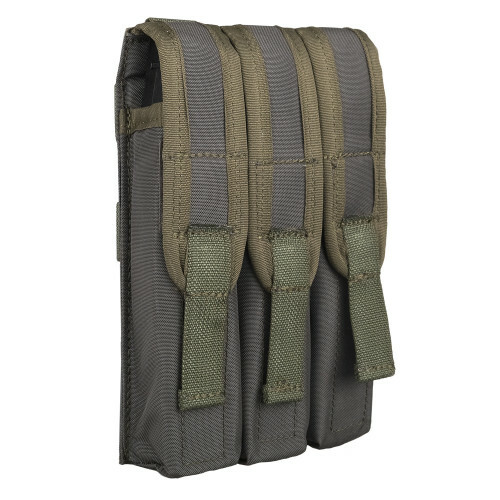 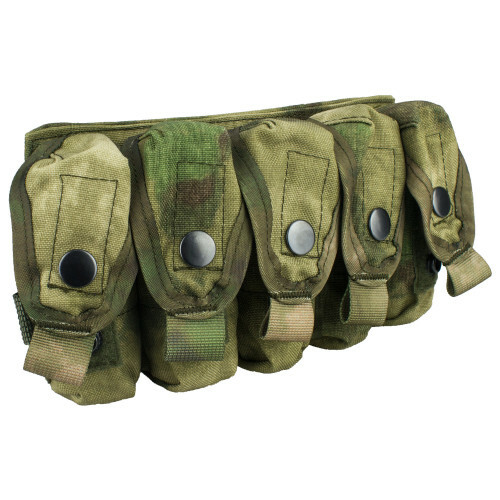 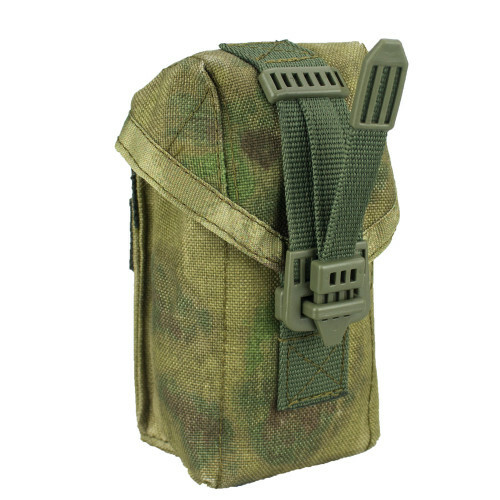 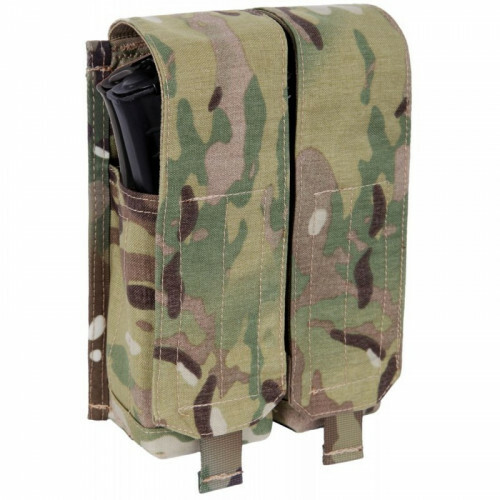 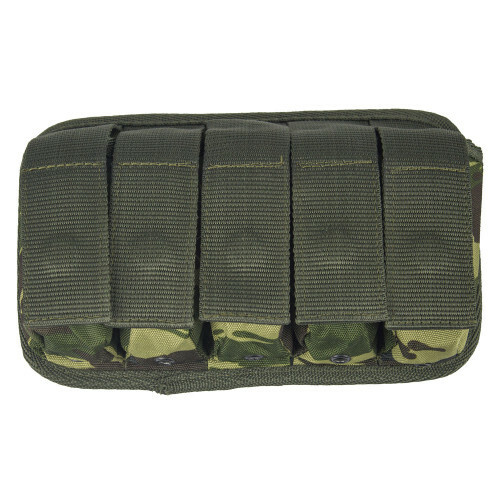 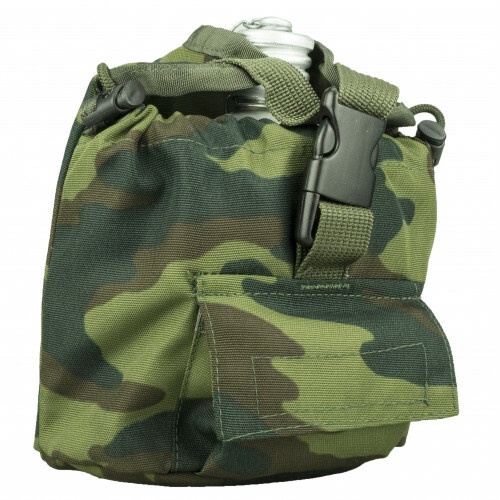 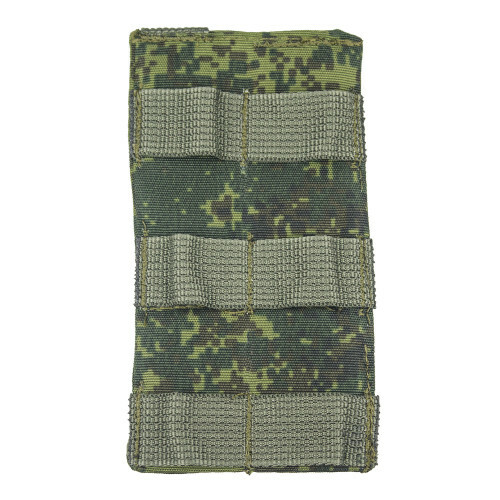 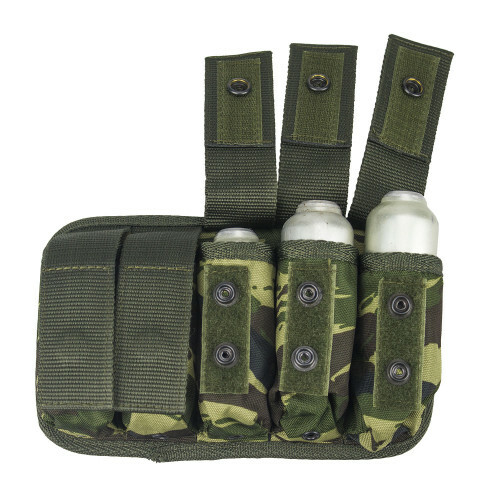 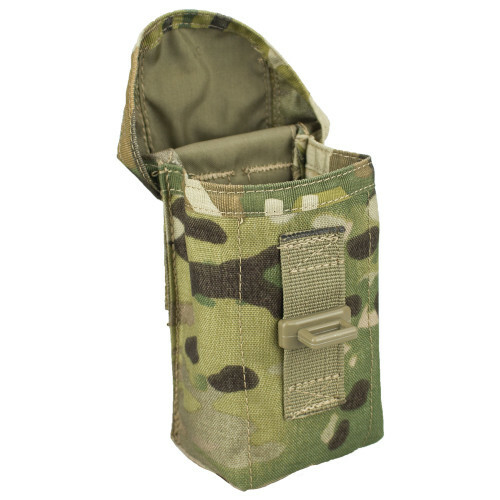 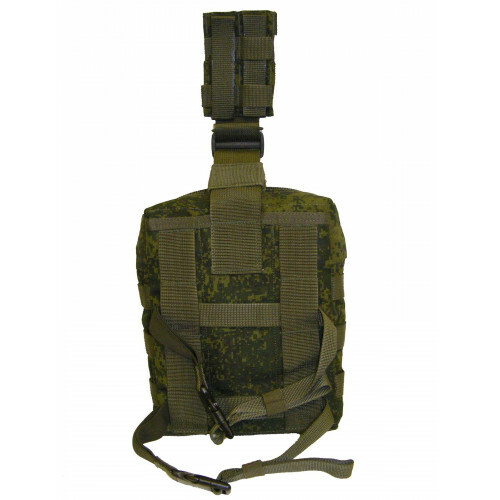 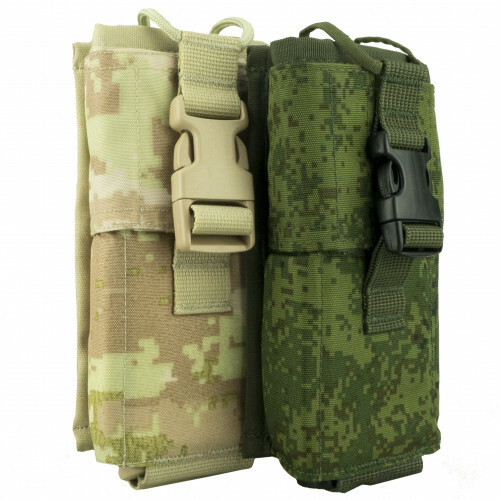 This adaptor created for placing Molle pouches on standard belt. 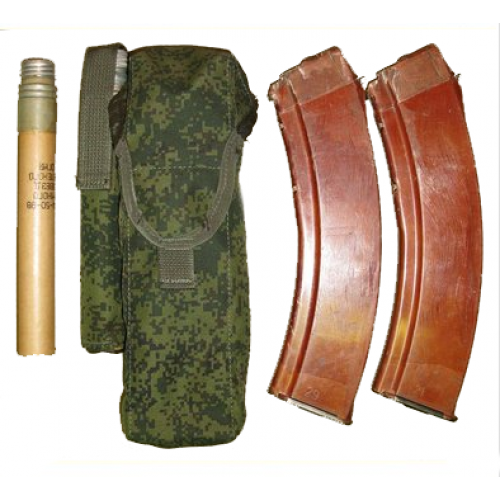 Left from SOBR contract in 2011 yea.. 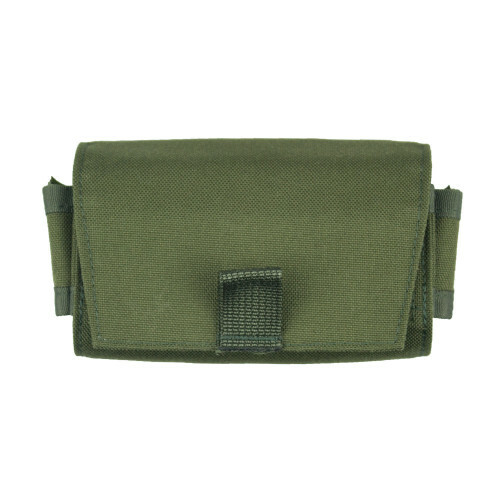 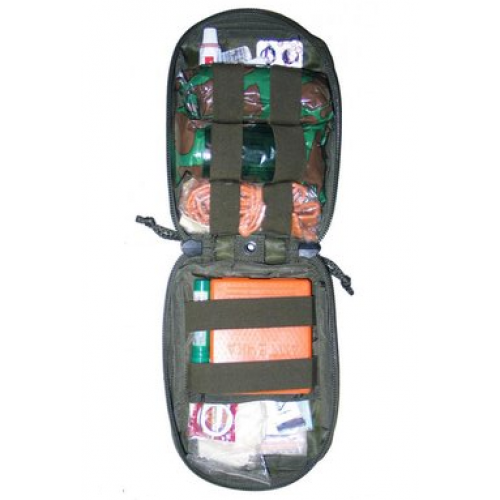 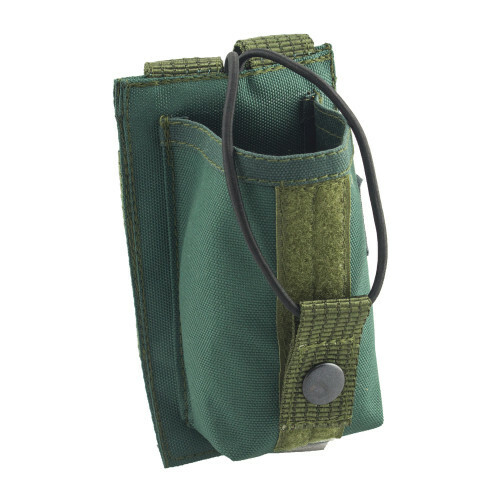 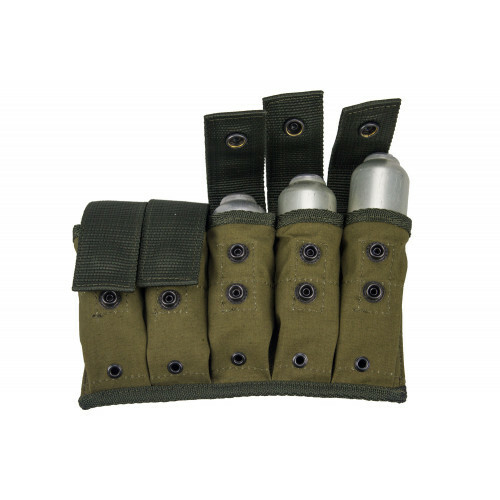 This pouch created for shotgun shells (.44, .460, .500 S&W Magnum and similar shells with size 1..
• Used to embed 12 cartridges for smooth-bore guns.• Flap with Velcro fastener contact and grip for .. 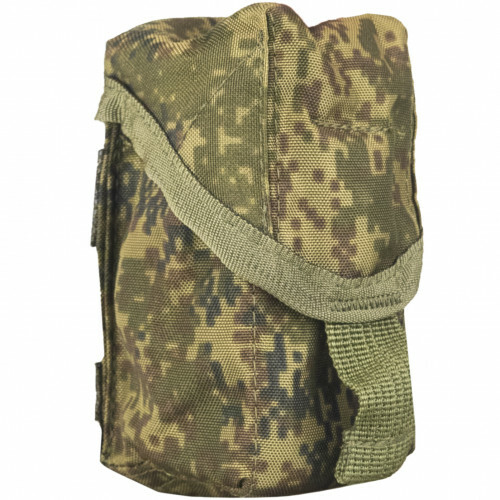 This pouch was created for MVD contract in middle of 2000 years. 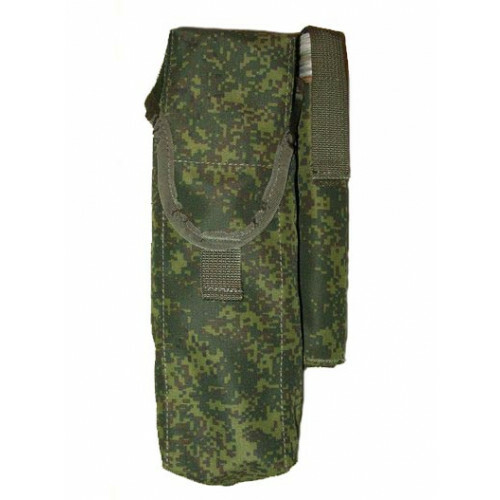 They left as "examples" in Ministry..
Now you can order original Russian Made fabric for yourself (for example order custom suit or even e.. 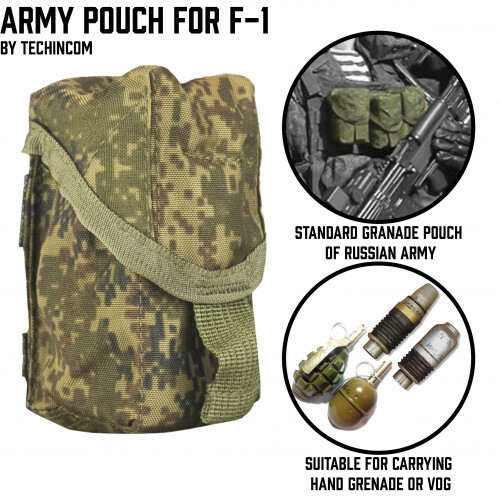 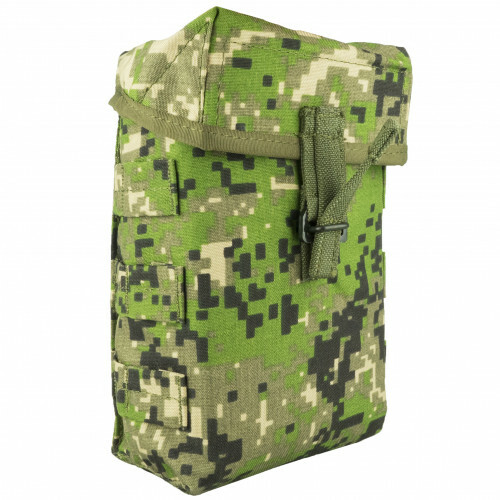 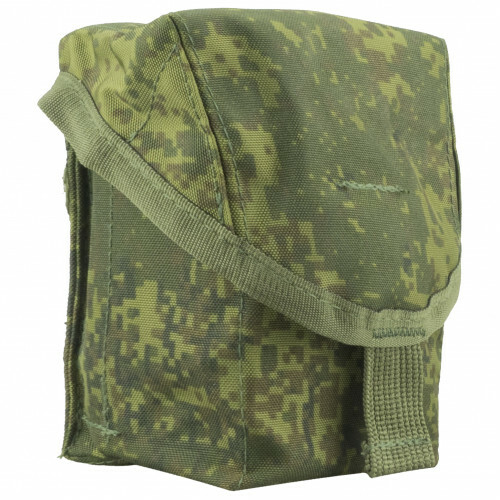 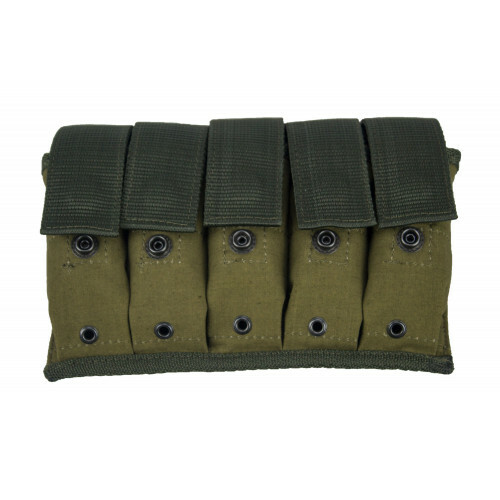 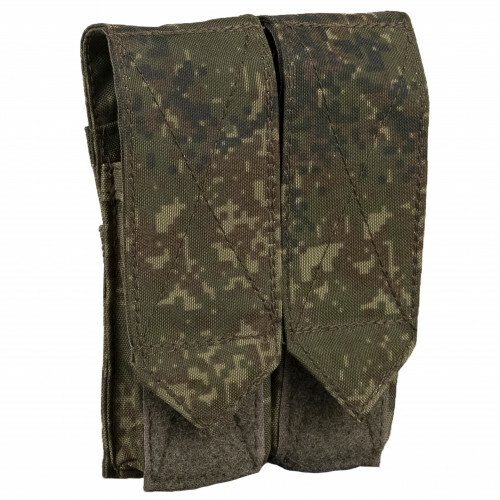 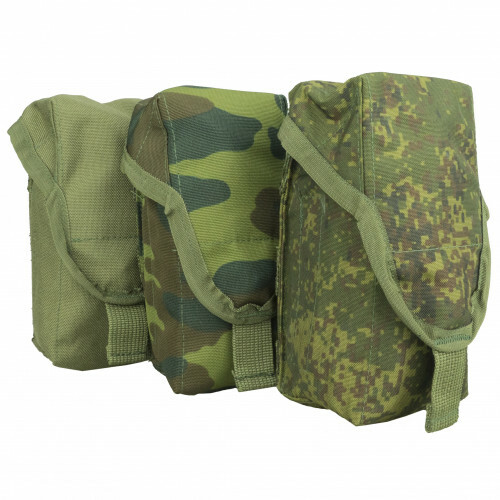 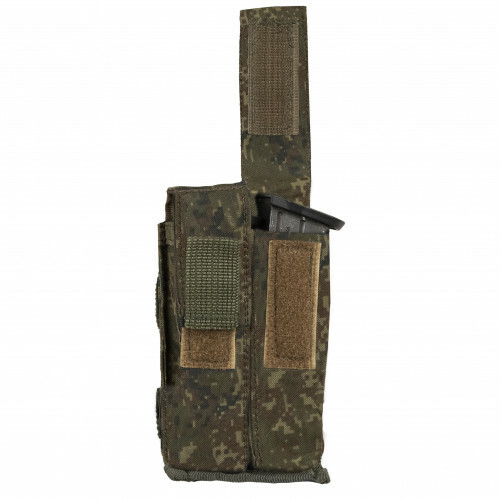 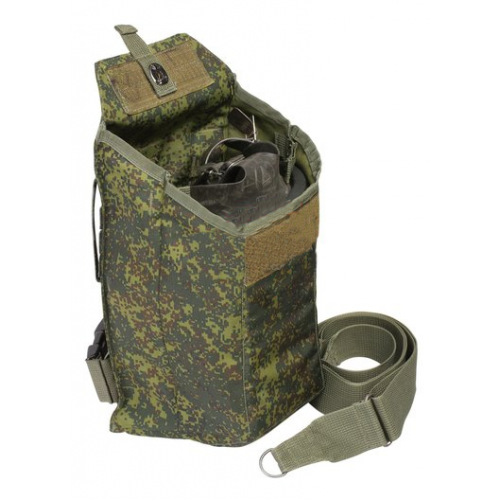 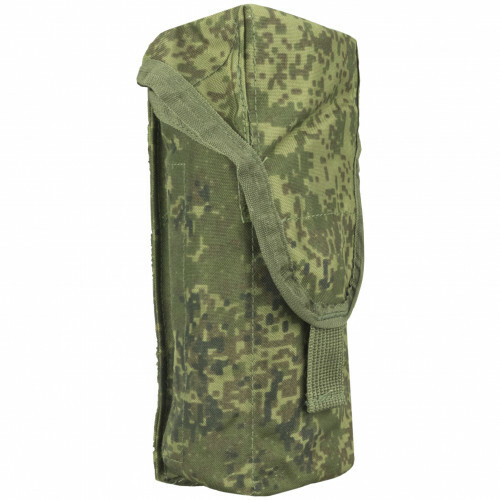 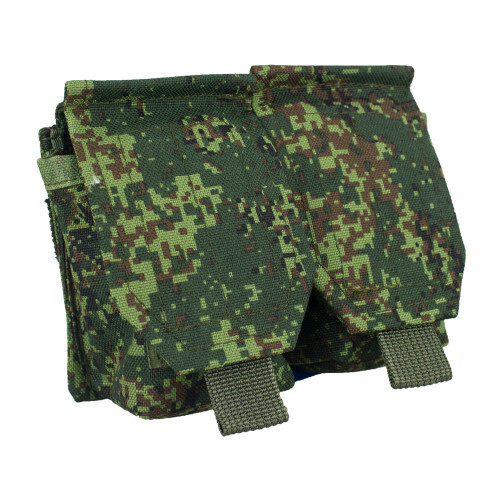 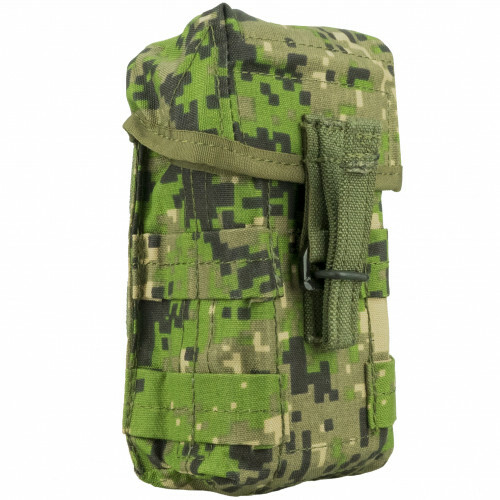 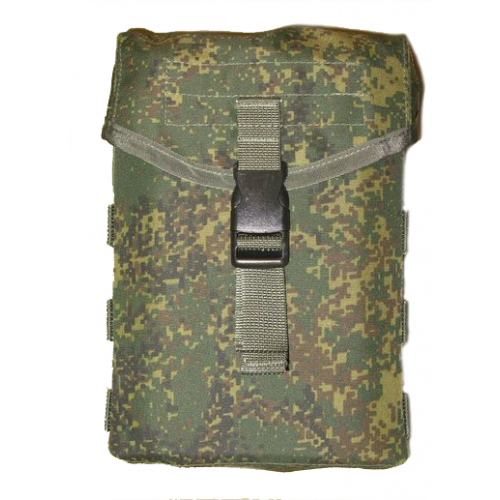 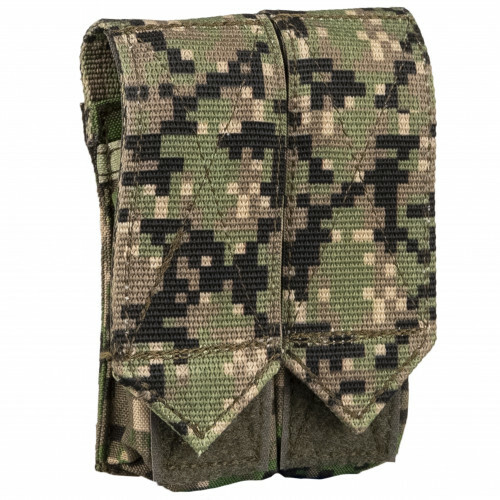 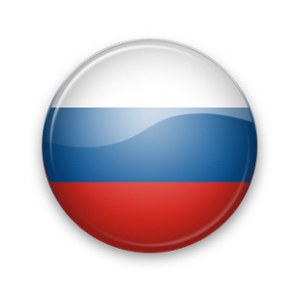 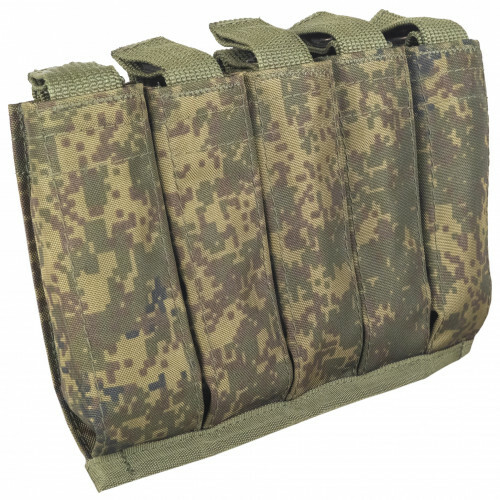 This pouches created by Techincom for Russian Army, as simple and cheap pouch for VSS/VAL 20 round m.. 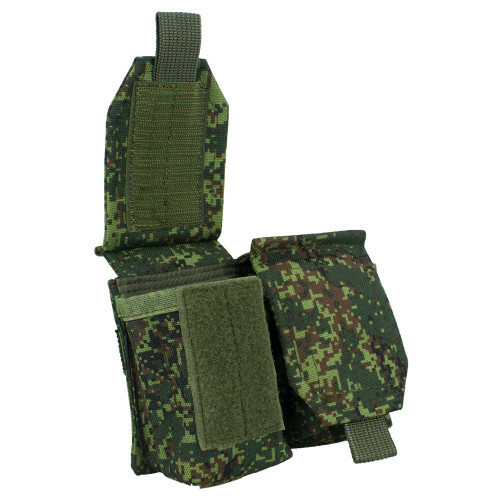 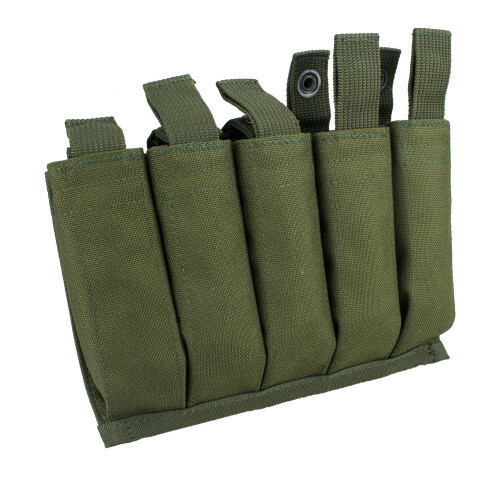 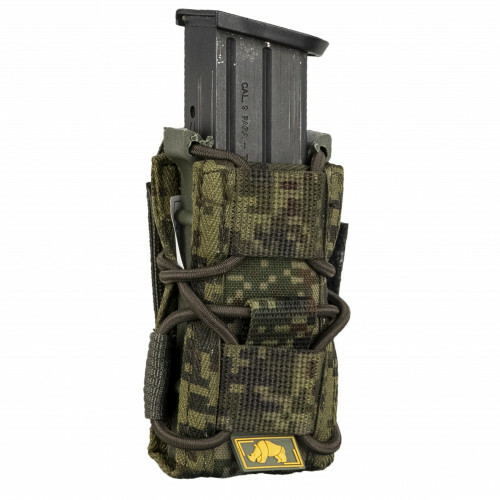 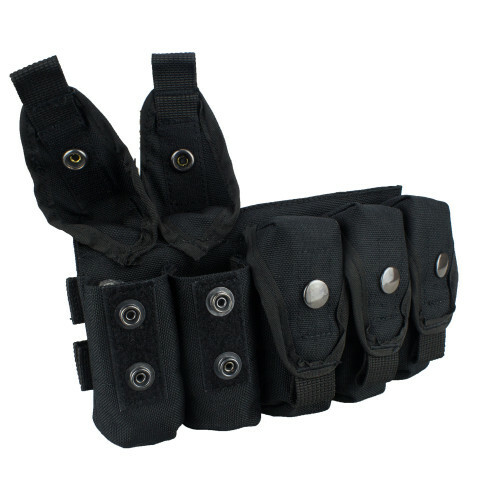 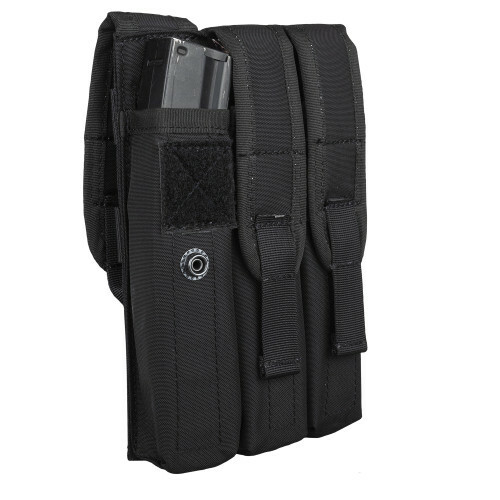 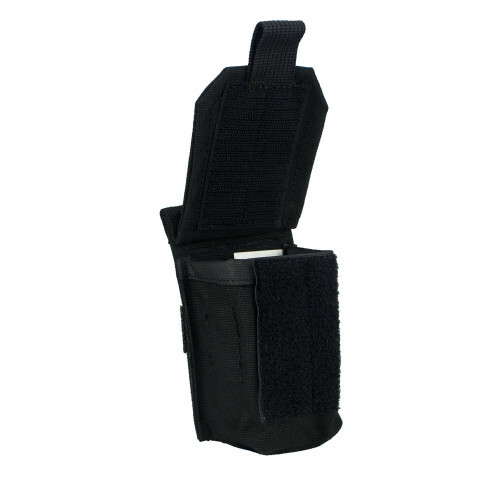 Triple AK Mag Pouch.SImple and convinient in usage, closes on velcro, suits bothly AK and PP Vityaz ..